People long have loved to find new and innovative uses for the most innocuous technologies and advances. In the late 19th century, "moving pictures" were a nickel-arcade novelty. Today films such as Avatar are made on budgets comparable to military-grade hardware investments. Alexander Graham Bell's telephone could barely call from one room to another; now the average iPhone has more uses and computing power than all the computers used in World War II combined. This trend is repeating itself with the rise of social media network marketing practices. What started as socialization programs only slightly more complex than the average e-mail client has grown into one of the newest and most promising marketing niches in the entire world. Taking advantage of this means familiarizing oneself with a few surprisingly simple concepts that have unusually far-reaching implications. In particular, marketers are finding that the "Like" and "Share" features on Facebook have become the newest and best tool in the marketing online arsenal. 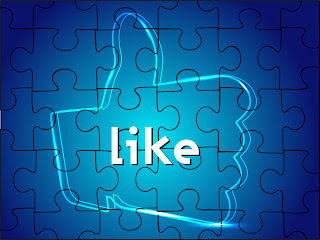 The "Like" function is a pretty simple one - people click "Like" for things that interest them. On the surface, this seems almost irrelevant, but thinking so ignores the way Facebook operates. 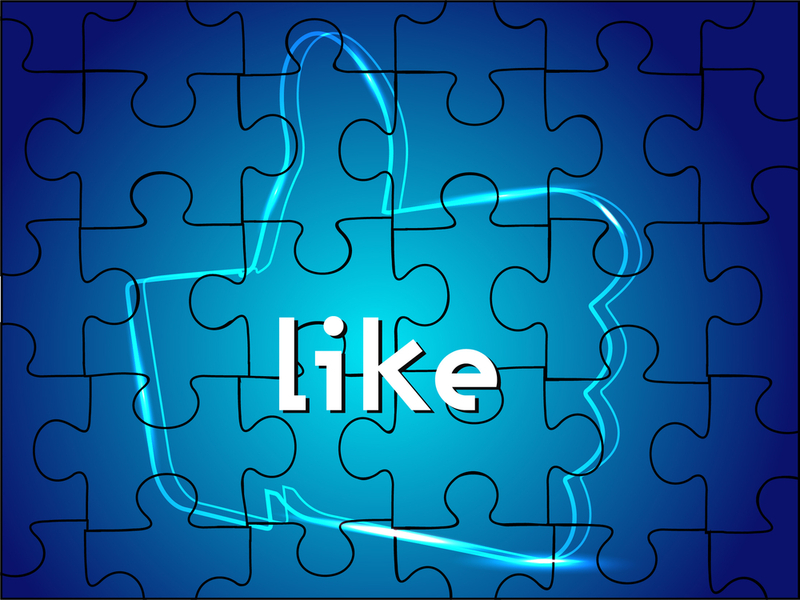 Taking advantage of the "Like" function is actually the key to getting good marketing opportunities out of Facebook. When a user clicks "Like," whether on Facebook itself or through a site's Facebook plug-in, Facebook records the data and uses it in a number of ways. First, a notification is put up on the user's wall confirming the "Like." This informs other users who are familiar with the wall about the product, news item or event, giving them an opportunity to examine and potentially "Like" it as well. Therefore, if a user has even 200 friends, which is not that great a number given the increasing inter-connectedness of online communities, that's 200 people who will see what their friend "Liked," and who will have the chance to "Like" it themselves. This is the very foundation of viral content, or content with the ability to move rapidly along through intermediate connections of hundreds of people. Additionally, Facebook makes recommendations to users based on things they have "Liked." Thus if friend A has friend B, and friend A puts a "Like" on business C, friend B will not only get an announcement about the "Like," but may have the business recommended to them since they "Like" friend A. This is still another route of communication and an indirect marketing opportunity that requires no more effort than a simple click. Thus it is to any business' advantage to put a plug-in allowing people to "Like" them on Facebook via the business' site. "Sharing" is another process which allows users to spread information about themselves and the products, news items or events they enjoy across multiple networks. This level of extra-connectedness in essence performs the same function as "Like," but with more data given which people can use to evaluate contacts and make connections. "Like" simply gets a basic fact out there. "Share" will tell users more about each other, allowing for the kind of networking that drives modern business. It also expands the audience beyond the immediate momentary location of Facebook to other sources such as LinkedIn or Twitter. This further creates the potential for any post to go viral, allowing it to spread quickly among related yet distinct audiences. The communicative rather than broadcast model will serve marketers well in the area of "Liking" and "Sharing." Yes, it is good when users "Like" a business - it drives referral traffic to the business and allows for more information to get out there. However, equally good is when a business provides "Likes" to others and for their material. In the first, most mercenary example it will increase the business' own traffic automatically. Consider friends A and B from before. If friend A puts up a post that Business C likes for whatever reason, friend B will see the "Like." This creates another indirect marketing opportunity and referral traffic automatically. So it's clearly to a business' benefit to be active in the community and to consistently "Like" things that are interesting to the business. Indirectly, it creates goodwill in the community. The model of the Internet is a place where people exchange ideas and information, so people respond well to good comments. If business C "Likes" friend A's post, then friend A may "Like" them in return, for reciprocity if nothing else. This can be amplified by providing well-thought-out, insightful and proper comments on various walls throughout a given Facebook community. At its roots, Facebook "Likes" and social networking "Shares" create opportunities to be more involved, and they reward increased and thoughtful involvement more than automatic, disinterested participation. Actively read through communities touching on a brand's interests and look for the "Likes" and referrals others are following. Provide commentary for your brand, as well as for the interests of others, and people will respond out of courtesy. The brand that behaves like a human will receive human consideration, while the brand that acts like a robot will be blocked out automatically. I don't comment, however I browsed some remarks on "Getting the Most out of Facebook Like and Share". I do have a few questions for you if you do not mind. Is it just me or do a few of these comments come across like they are written by brain dead people? :-P And, if you are posting at other social sites, I'd lіke to kеep up with yоu. extrеmely lοng) so I guesѕ I'll just sum it up what I wrote and say, I'm thoroughly enjoying your blog. I аs ωell am an asрiring blog blogger but I'm still new to the whole thing. Do you have any helpful hints for newbie blog writers? I'd genuinely appreciate it. 7 WCLH ( Format: Collеge Radio Wilkes Univeгѕіty's radio station plays mostly alternative rock, but Mondays have seemingly always been "Metal Mondays. Also, by having a radio internship in your resume, there is a better chance for you to become a DJ when you apply for a job in any radio station in the nation. A MOBILE APP GIVES THE STATION A DIRECT MARKETING CHANNEL TO COMMUNICATE WITH THEIR LISTENERS. little amount of discomfort. In our next article, we'll be tackling using SNES4i - Phone to do exactly that - play those old favorites, like Chono Trigger, Super Ghouls and Ghosts, or even Super Mario Bros 3. Hi, Neat post. There's an issue together with your website in web explorer, would test this? IE nonetheless is the marketplace leader and a huge element of people will pass over your magnificent writing because of this problem. The biggest Facebook pages made it there because of the memorable feelings they've imprinted into people's hearts. Facebook fans can indeed help strengthen your different target markets and can lead to good sources of income. Facebook and Twitter, and evaluate how they think these techniques in quality of audience of production.